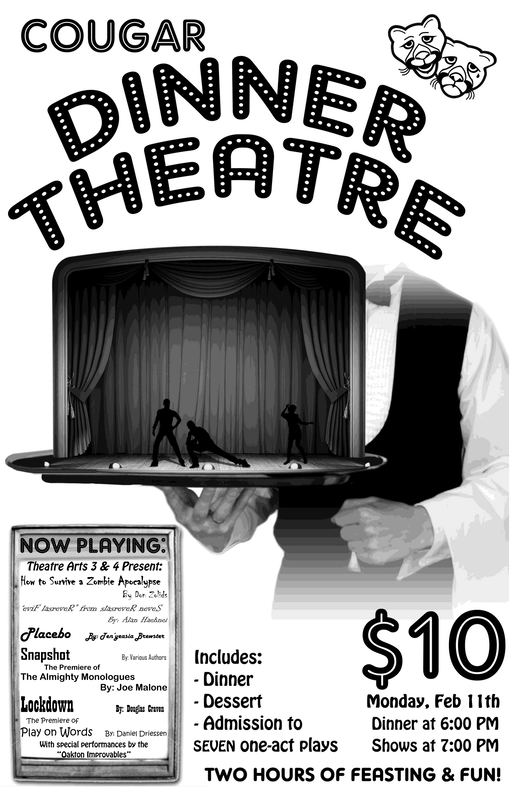 Our Annual One Act Night & Dinner Theatre. Dinner starts at 6:00 in the lobby and the shows begin at 7:00. Tickets are $10 at the door and all proceeds go to the KT SMITH Scholarship Fund. Please note that Season Passes will NOT be accepted for this event. Time: Dinner at 6:00pm, One Acts at 7:00pm, Dessert Served at Intermission. Tickets are $10 at the door ONLY. Season Passes will not be accepted for this event!